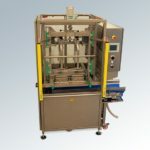 The Cheese-O-Matic represents core equipment for cutting hard, semi-hard cheese. This item is in stock. Please contact us at sales@curdsandwhey.co.nz so that we can provide an accurate freight cost for you. 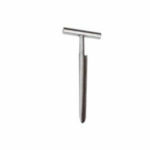 It is safe with a very strong cutting wire; ergonomic, hygienic and requires little cutting effort by the operator. Plastic, includes counter hooks. 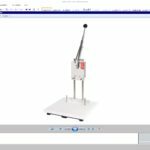 The Cheese-O-Matic is the ideal piece of equipment for any cheese shop, delicatessen and devoted chef! 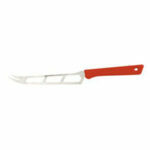 This popular cheese cutter is used extensively overseas. 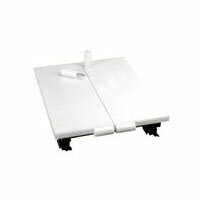 The Cheese-O-Matic doubles as a cutting board and is easy to use as cheese can be cut to order facing the customer. 470 x 350 – 53mm. White plastic. Includes counter hooks and wires. Replacement wires are held in stock.